The Head Maria 23 junior tennis racket is made for players aged 8-10, both beginners and those looking to improve their skills. 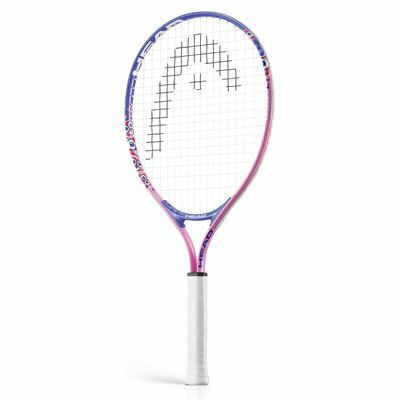 Being part of the Maria Sharapova range, this racquet is designed to inspire youngsters, and it is therefore light – 190g (6.7oz) – and has a shorter frame length making it more comfortable and controllable to use. The extra-large 107in2 (690cm2) head gives juniors access to a bigger sweet spot for more power, forgiveness and confidence to practise their shots. The racket is made from aluminium and comes strung with a synthetic string in a 16x19 pattern, and also includes a head cover to protect it between uses. for submitting product review about Head Maria 23 Junior Tennis Racket 2015.